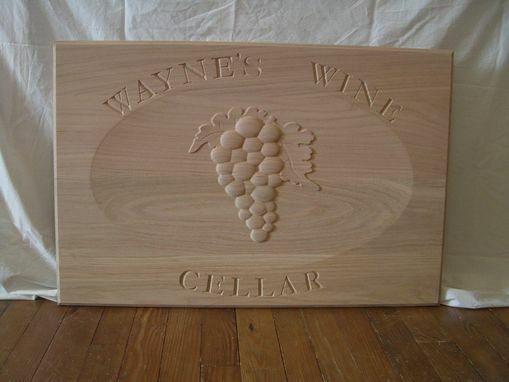 This is a carved dimensional sign for Mr Wayne's wine cellar. 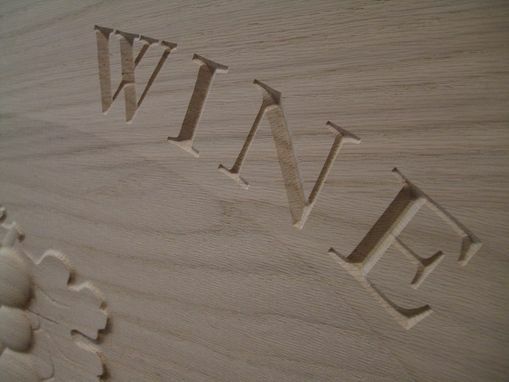 The wood is oak. 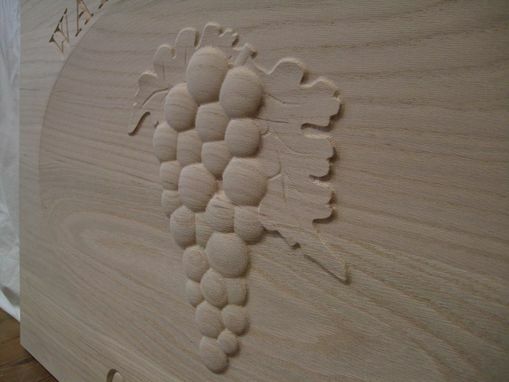 The letters are V-carved, and the grapes are raised relief. He chose to stain the sign himself.